Congratulations! You have finally gotten to the end of your orthodontic treatment! I bet you are ready to start chewing gum again, enjoying hard candy, nuts, and being able to talk without a speech impediment. It may come as a surprise to you that you may be asked to wear retainers at the end of orthodontic treatment, just when you thought it was all over. There is no need to be upset, as you probably only need to wear the retainers sometimes, and you absolutely NEED to wear them, or all of this hard work will have been for nothing. Let us illuminate why your orthodontist chose to have you wear retainers. Teeth have a tendency to revert back to their original position, even when this is inconvenient, and the original position is pathological. 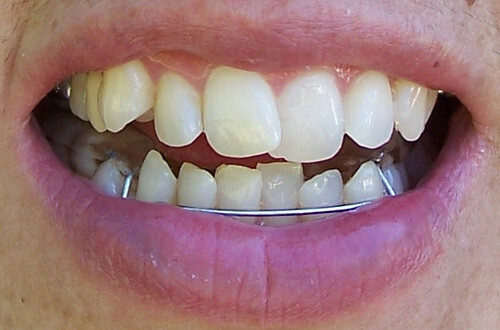 The teeth can be said to be programmed to be in a certain position, and orthodontics seeks to change that. Until the bones and the muscles and soft issues that hold teeth in their place take on their final form, you may need to wear a retainer that keeps your teeth in their new place. This depends on a number of factors. The first factor is how extensive the treatment itself was, and how many teeth did it move around, the extent to which they were moved around, and how much they have been twisted, pushed or pulled. The more extensive the treatment, the longer you will need to wear retainers, as it will take more time for your body to get used to this new position. Age is also a factor, as old bones and muscles are more likely to return to their original position, and will need more time to get used to their new settings. And there is also the personal factor, as each body is different, and will react differently to orthodontic treatment. The average time that a retainer is worn is six months, though. Certain retainers only need to be worn at night while you sleep, but these frequently have to be worn forever, from the end of treatment onwards. Sometimes the retainer needs to be worn all the time, during the day and during the night, and can be taken out while eating or brushing your teeth. Some retainers are fixed and cannot be removed at all, and will only be taken out by the dentist after a set amount of time. Ask your dentist about your retainer, and how frequently and for how long you will need to wear one!